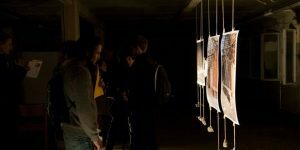 Two solo exhibitions in Berlin (Prachtsaal Neukölln) and Lisbon (Round the Corner Galerie) and a a group show in Berlin (District Berlin). 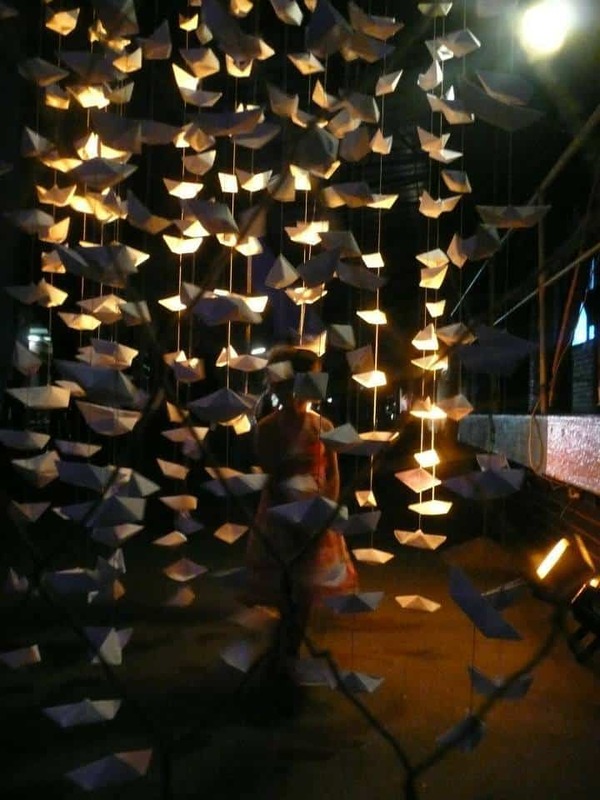 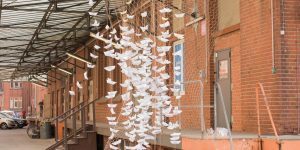 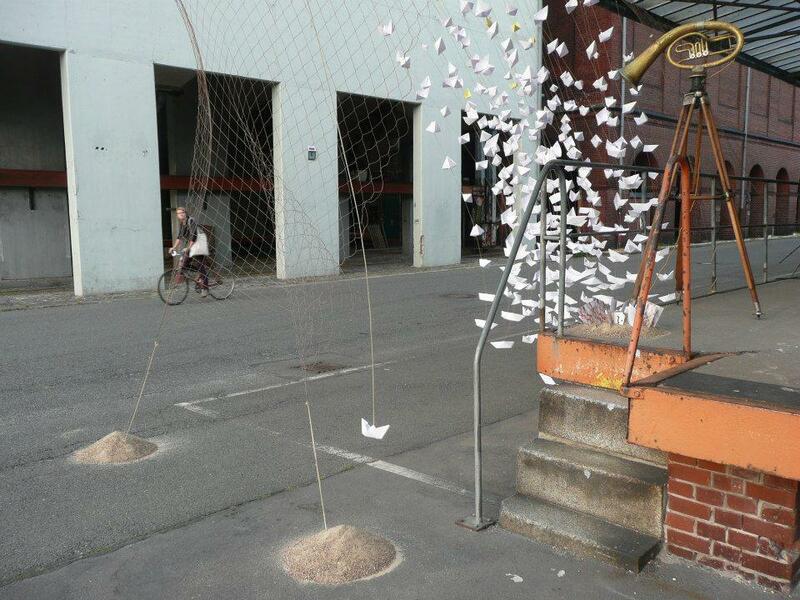 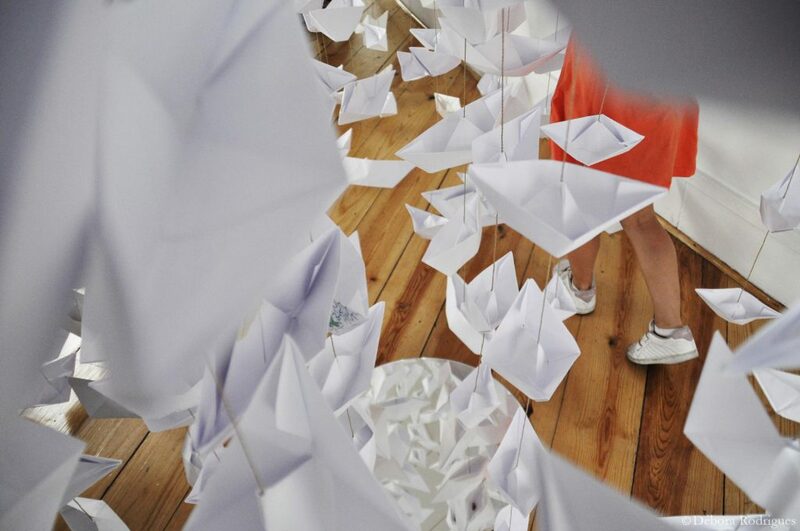 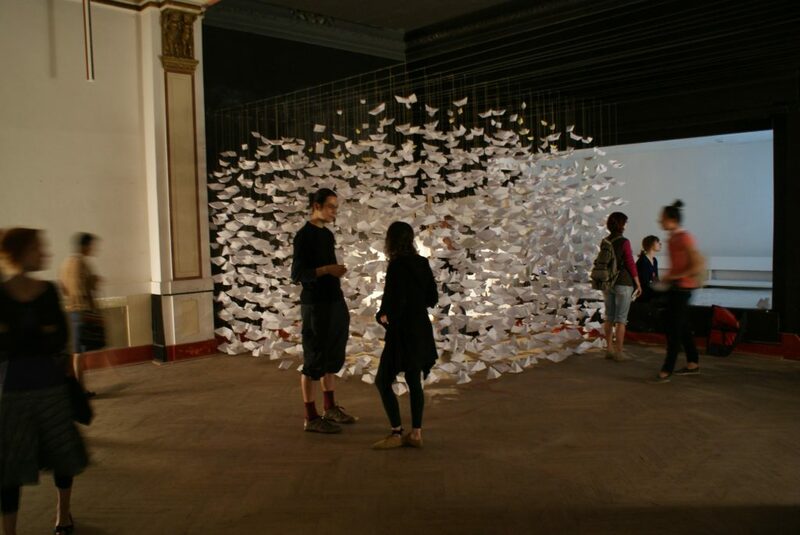 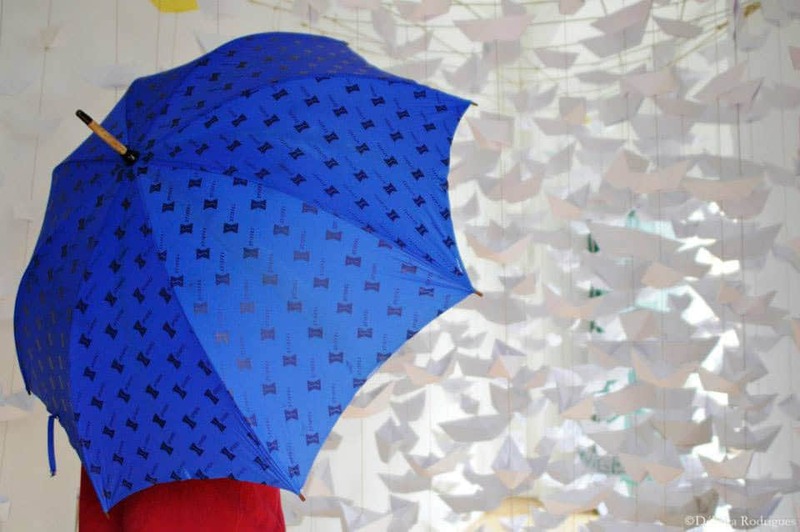 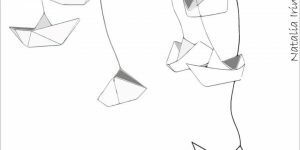 Large scale installations with hundreds of paper boats. 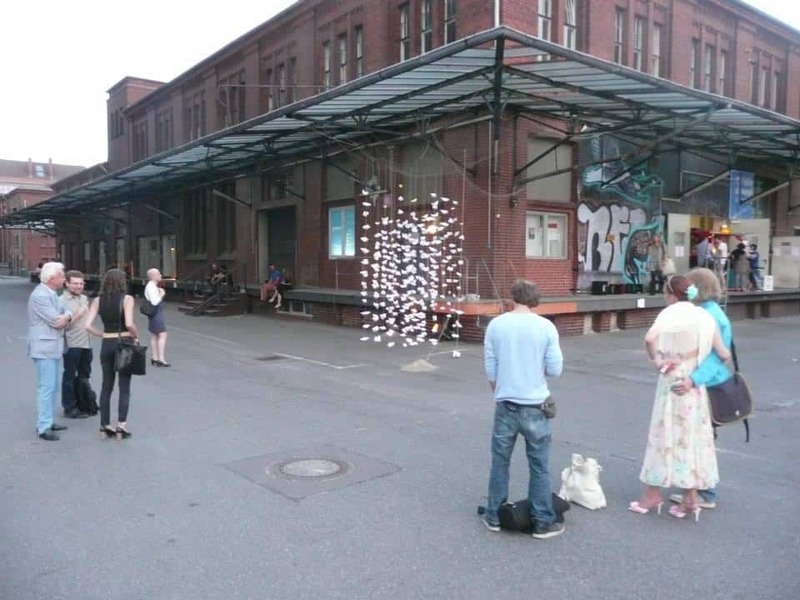 The constructions are designed in response to the architecture of each of the exhibition sites. 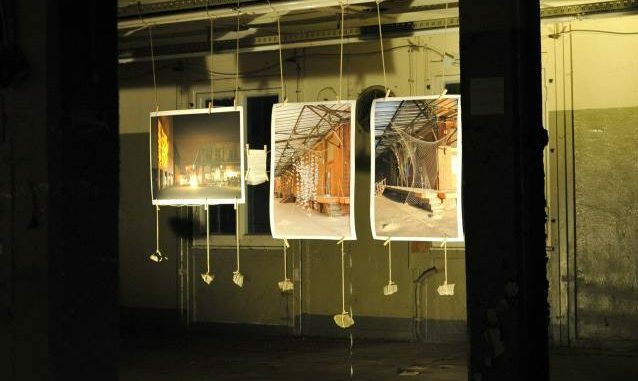 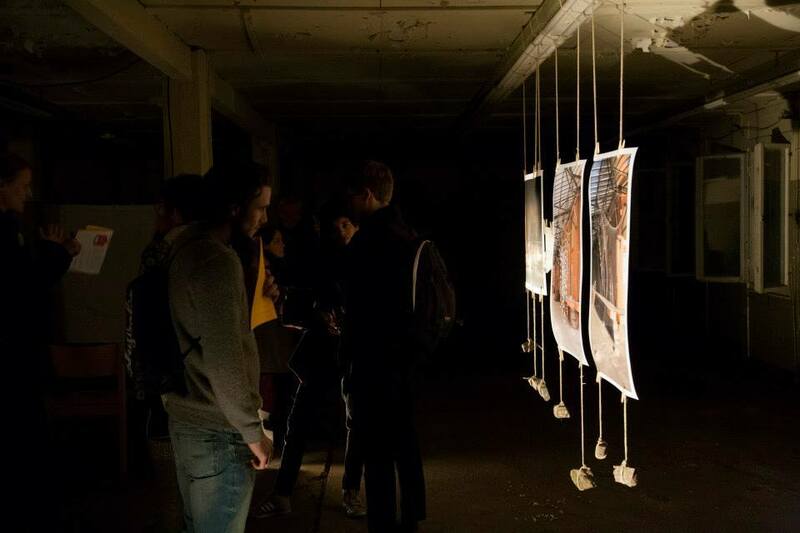 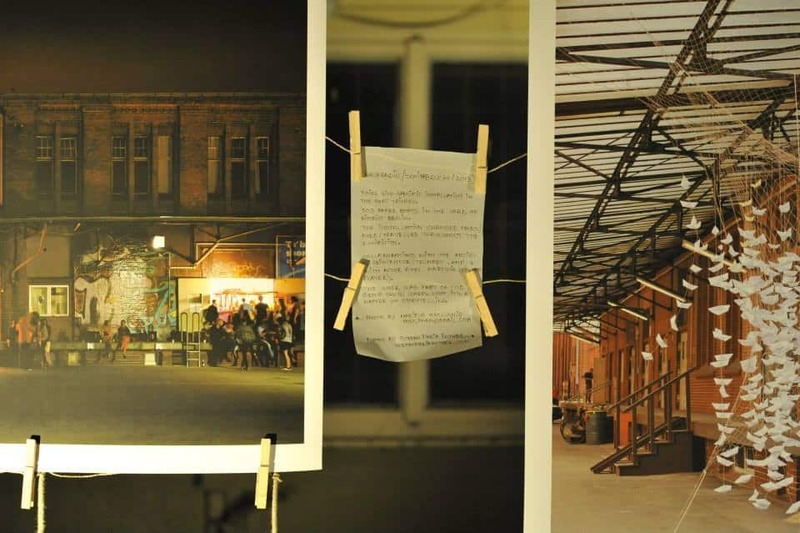 The three works represent a travel from inside to outside, from the inner room of the first space in Neukölln to eventually the yard of District Berlin. 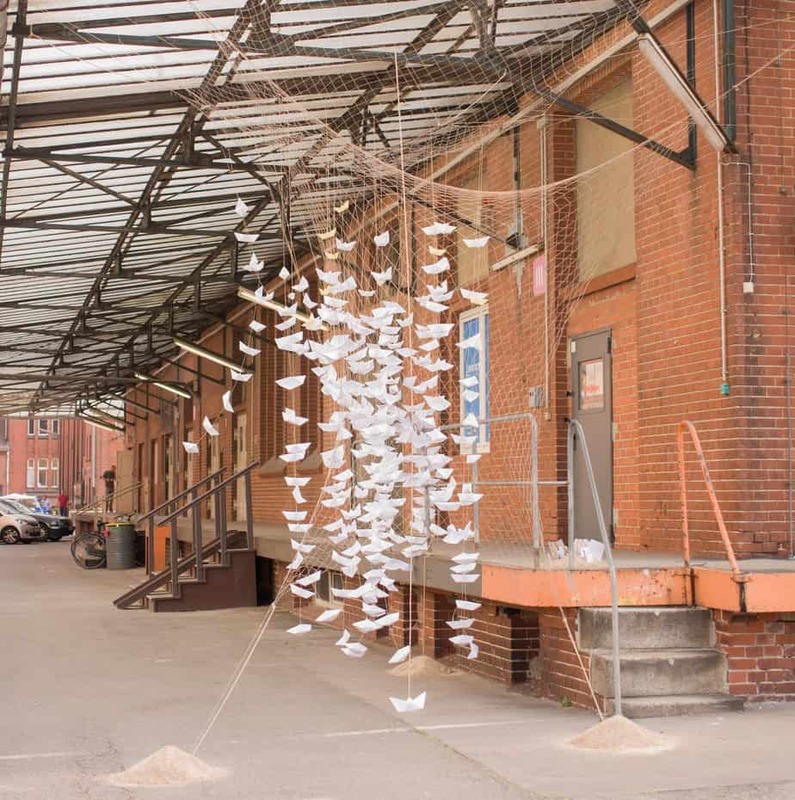 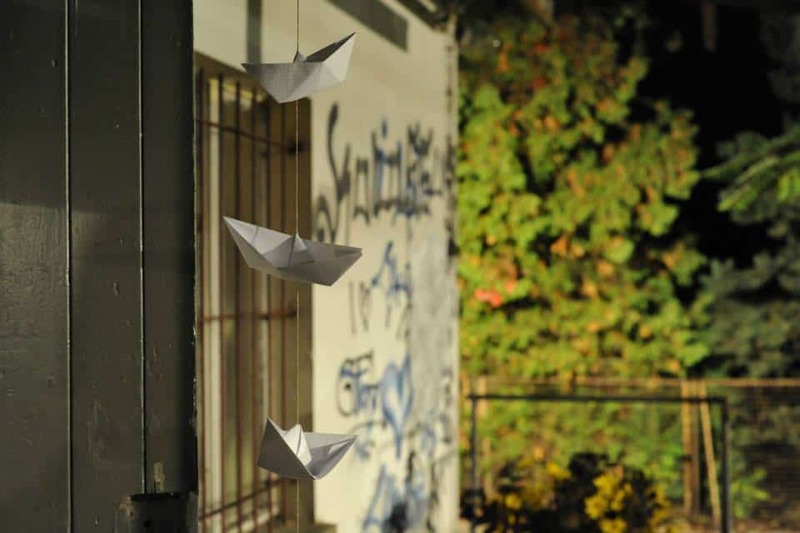 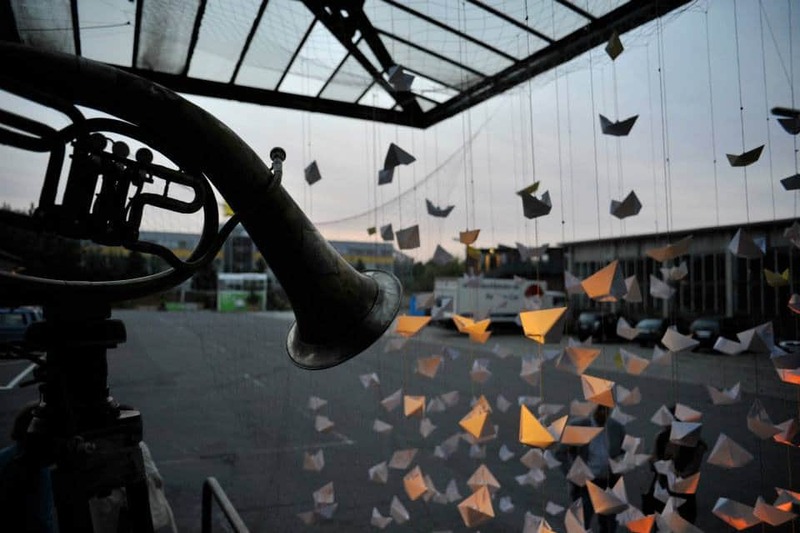 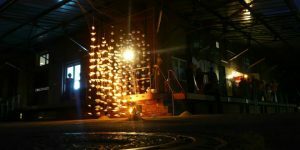 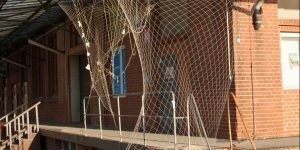 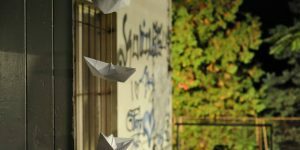 Flying Ships is an installation designed for the 200 sqm former ball room, Prachtsaal Neukölln, in Jonasstraße, inviting the visitor to set the boats in motion by entering the installation. 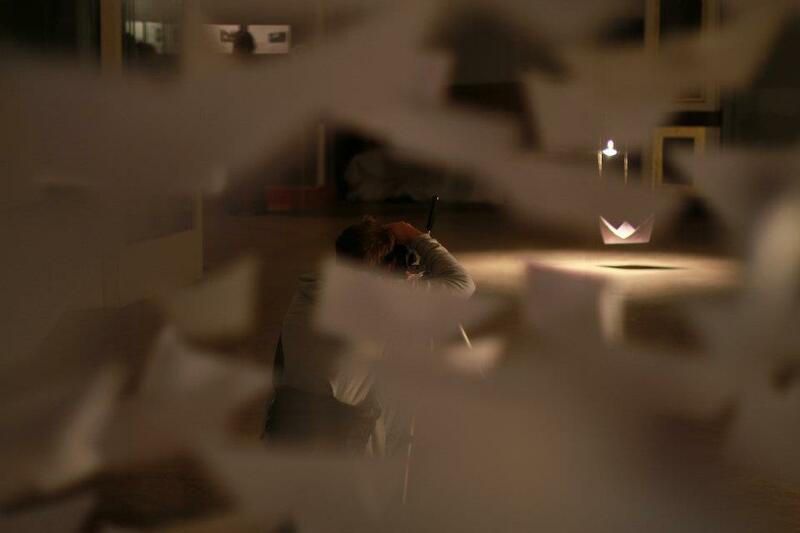 Collaboration with dancer Ayako Toyama for the video work. 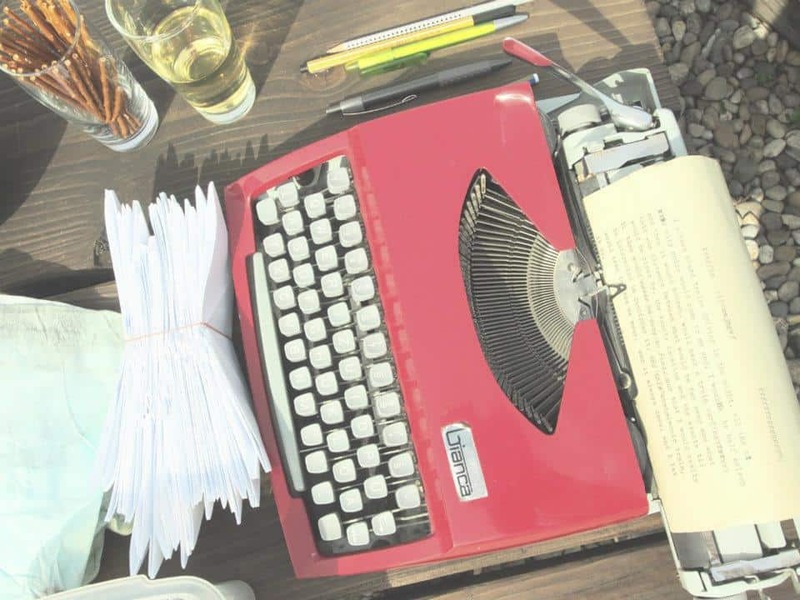 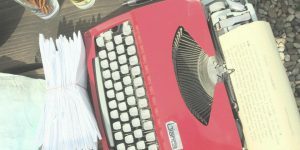 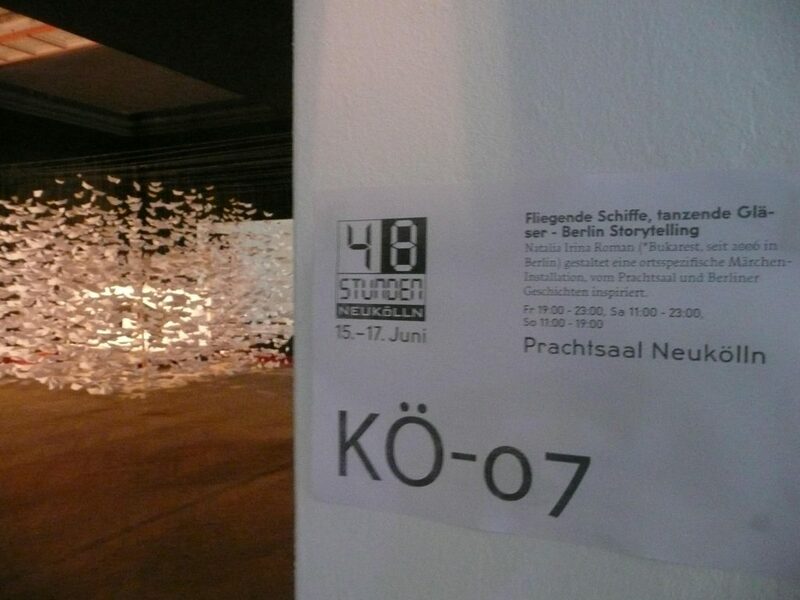 Cooperation partners: Prachtsaal Neukölln, Holzmanufaktur Kreuzberg, KSBL, Katolische Schule Sankt Franziskus, Haupt, Bard College Berlin, Apeiron Films. 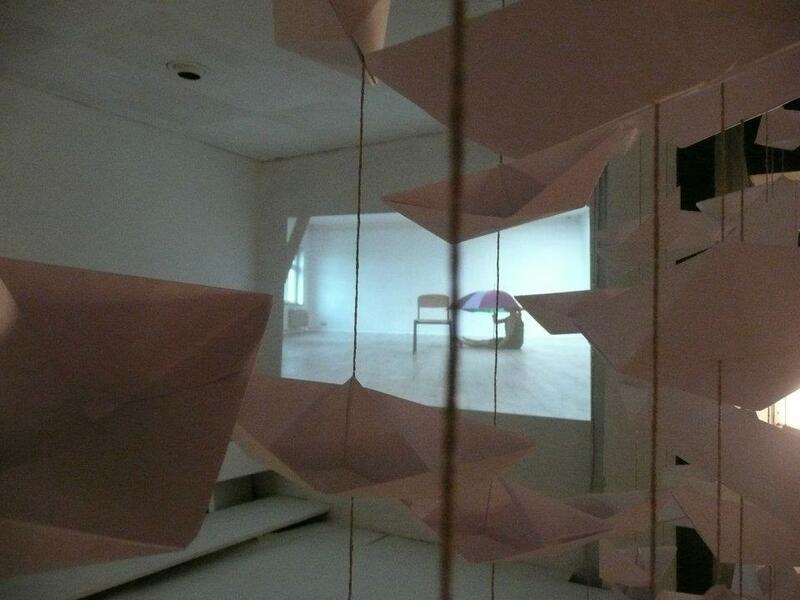 Just another Boat is a work installed site-specifically in the Round the Corner Gallery, part of the Teatro da Trindade, in Lisbon, curated by Luisa Santos; the opened gallery doors on two sides of the space allow the wind to set the boats in motion, in addition to the viewers, who are invited to swim their way through the hundreds of floating boats. 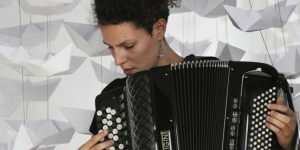 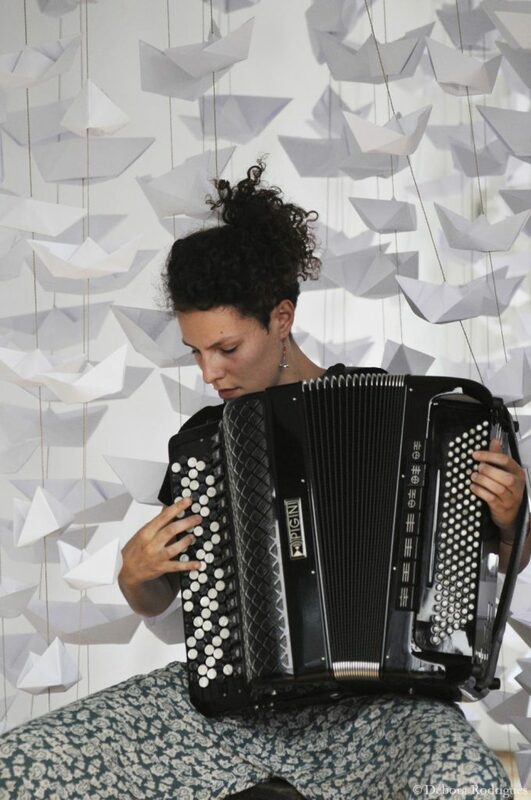 Collaboration with musician Sophy Bazy for the vernissage of the exhibition. 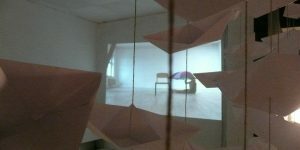 Location and project partner: Round the Corner Gallery. 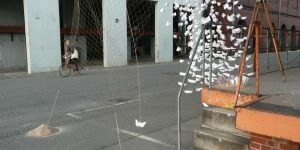 Shipwreck is the third installation with paper boats installed entirely outside, on the former malt factory at Südkreuz; the work is designed in such a manner as to change form throughout the exhibition (the group show called “Warp & Woof: It’s a Matter of Storytelling), in order to get stripped by wind and rain – what remains is a shipwreck reaching the shore after the long journey across the cities. 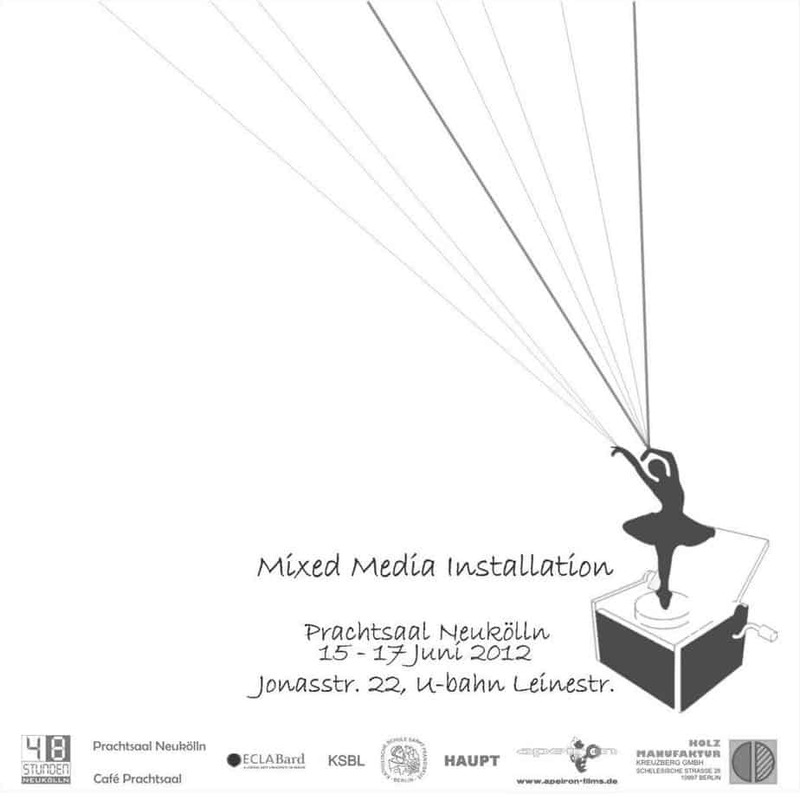 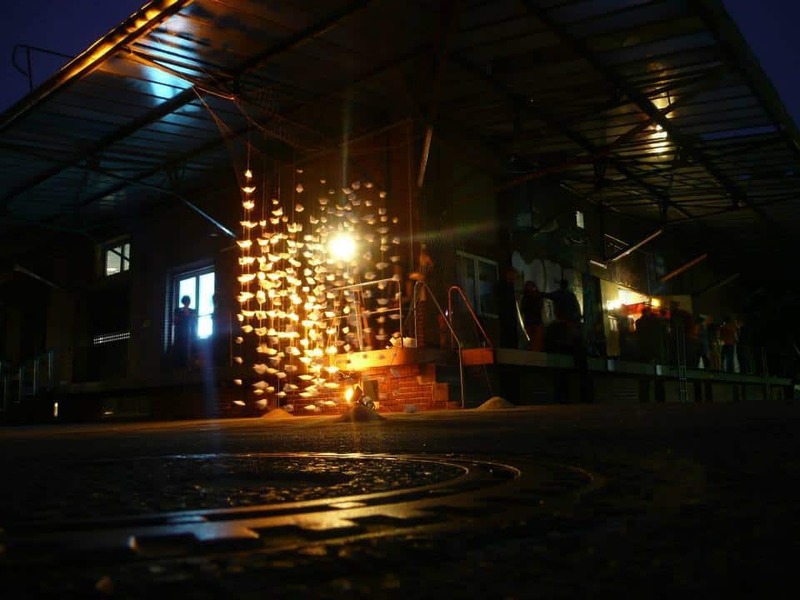 Exhibition artists: Moran Sanderovich, Lerato Shadi, Adi Liraz, Dieuwke Boersma, Natalia Irina Roman. 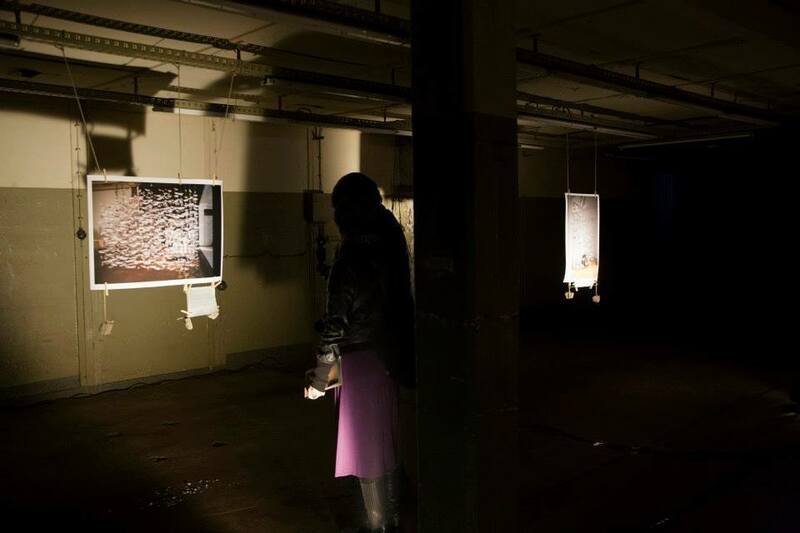 Exhibition curated by Adi Liraz and Dieuwke Boersma. 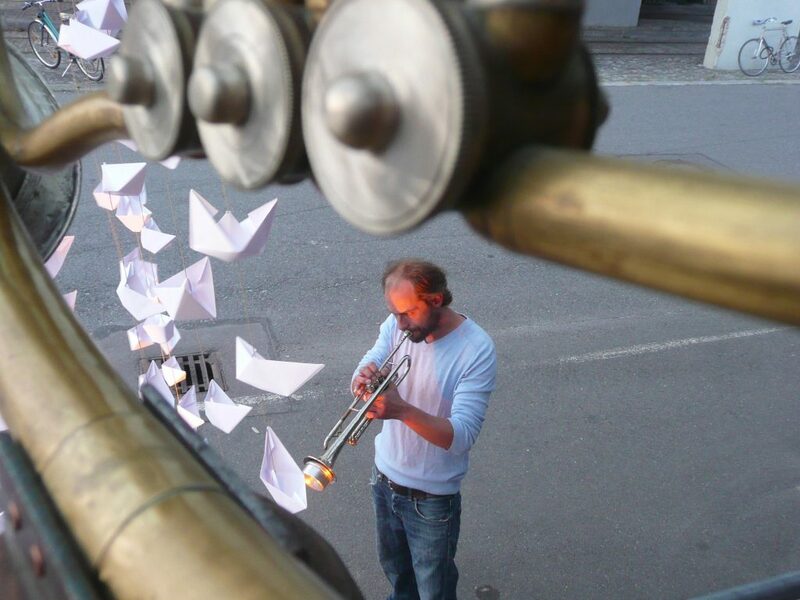 Collaboration with actor and musician Axel Hartwig for the video documentation of the work. 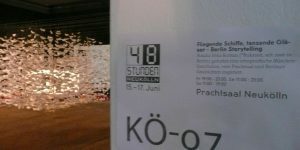 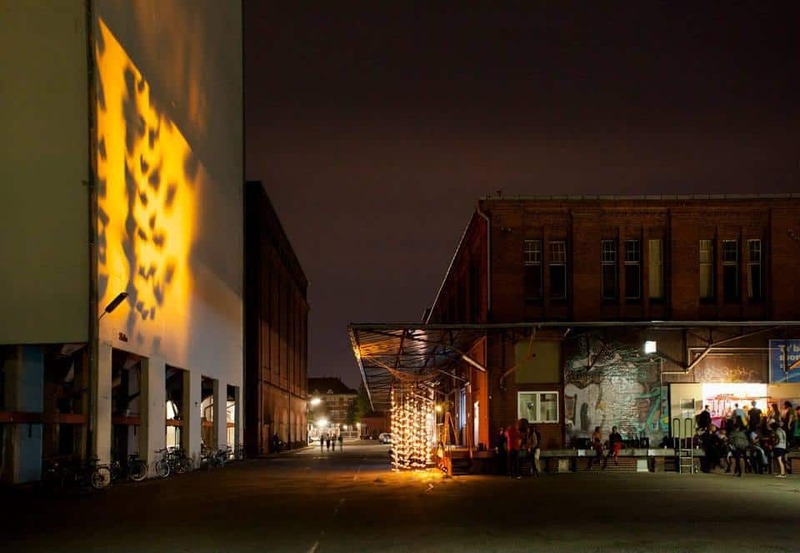 Location and exhibition partner: District Berlin. 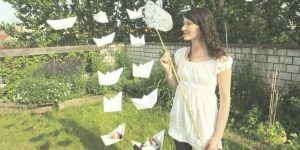 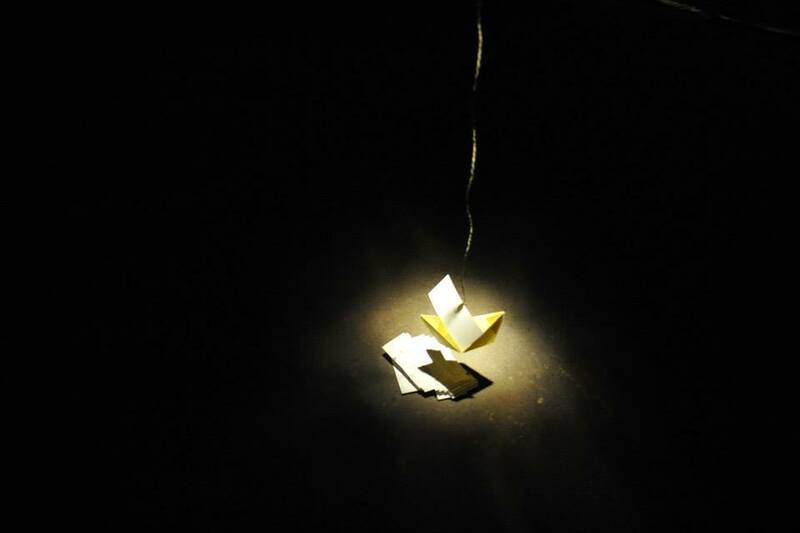 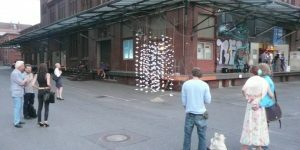 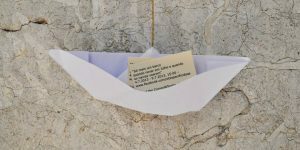 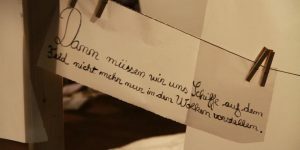 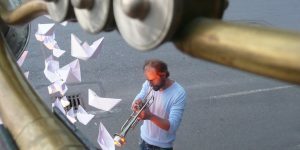 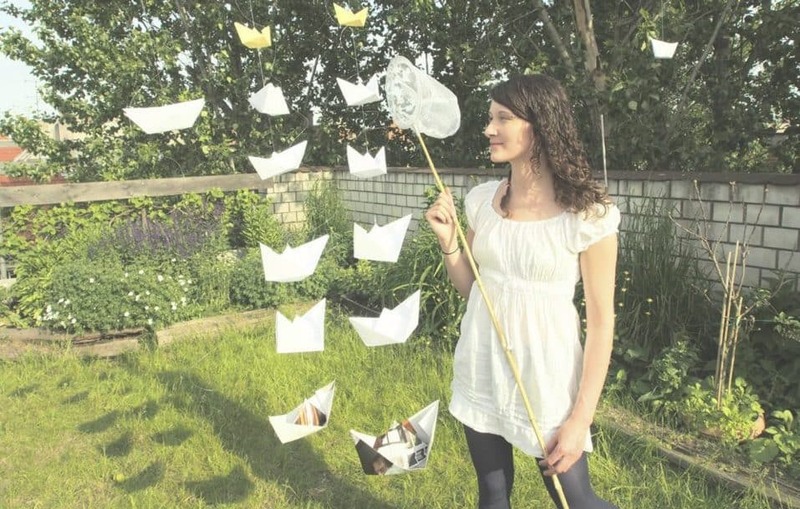 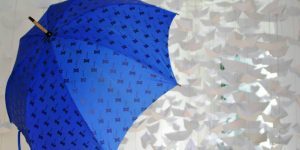 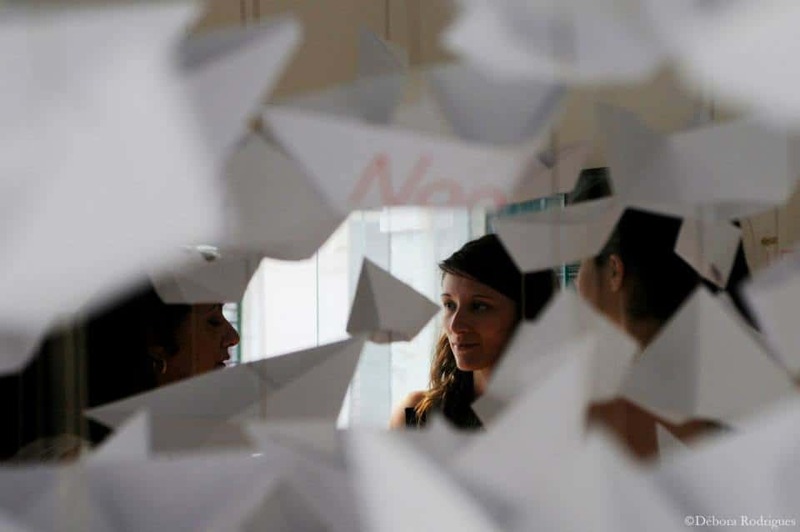 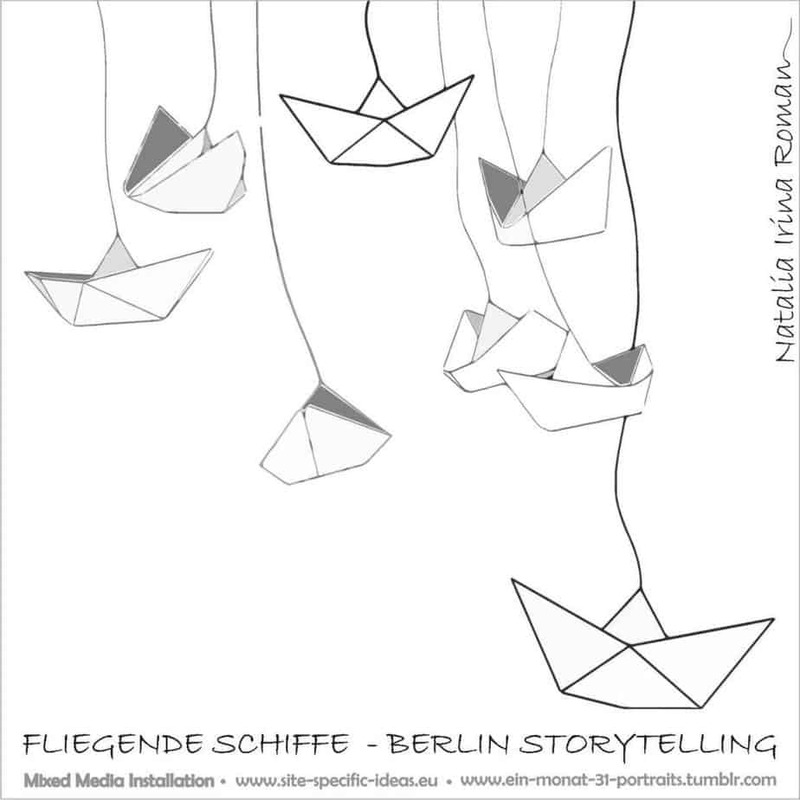 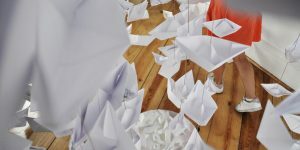 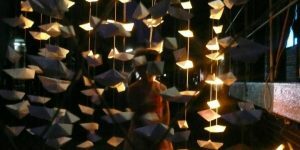 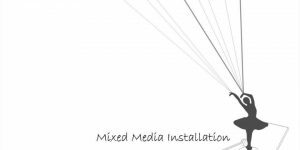 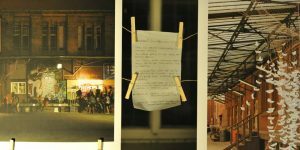 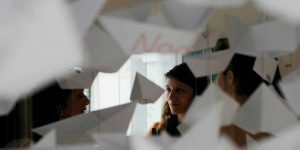 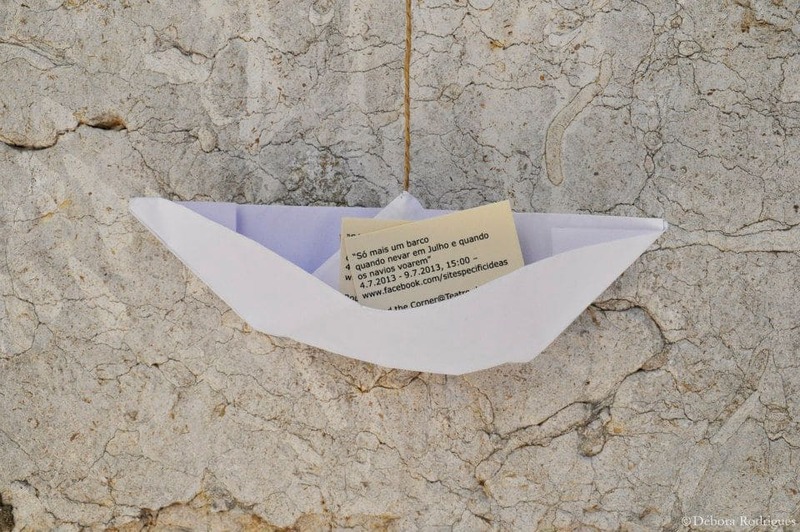 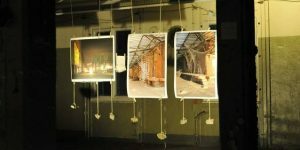 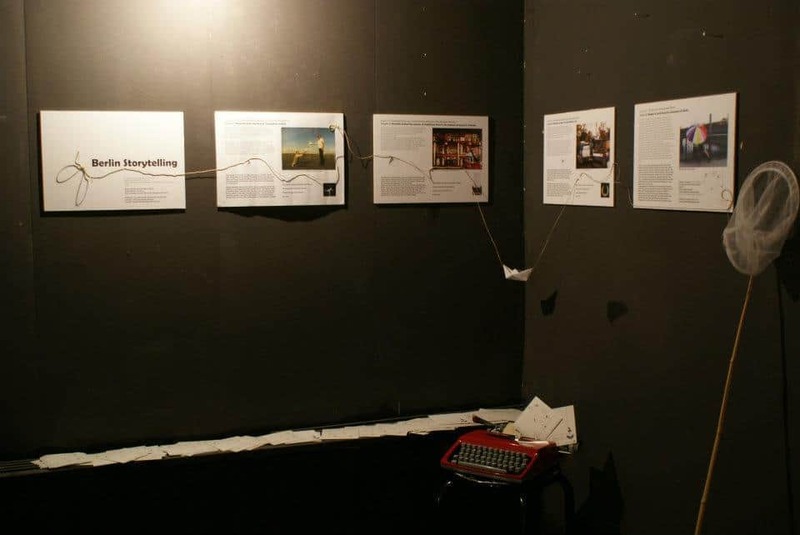 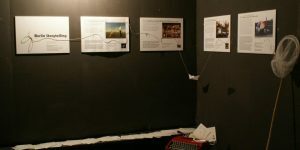 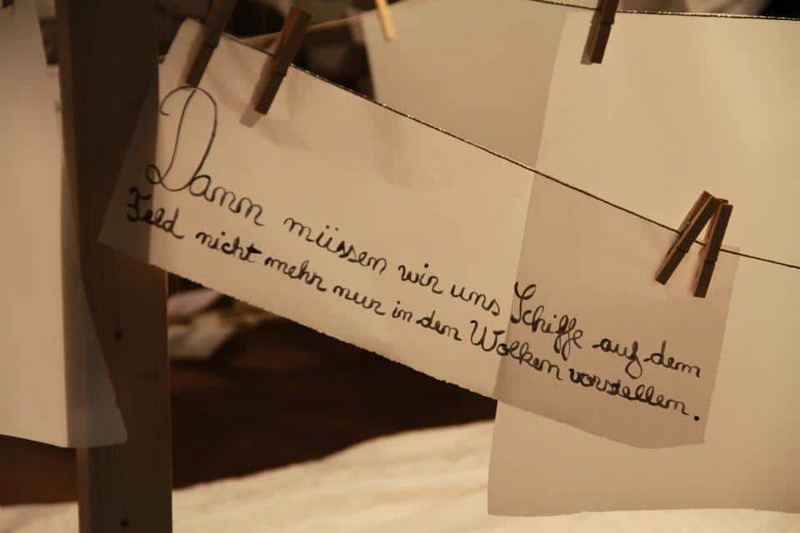 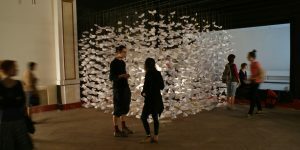 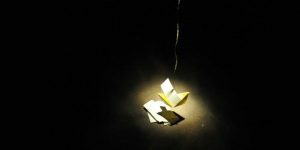 A documentary installation of the paper boat trilogy, with photos (60 X 90) and video, presenting the three installations from Berlin and Lisbon. 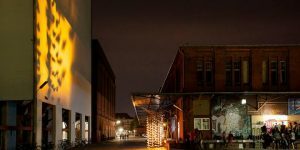 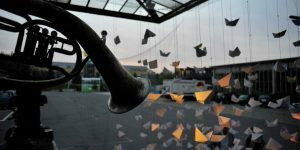 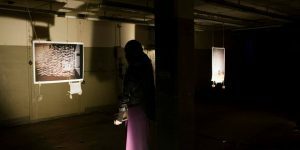 The exhibition takes place at the opening of the Factory – a new space for arts in North Berlin, part of the arts department of Bard College Berlin. 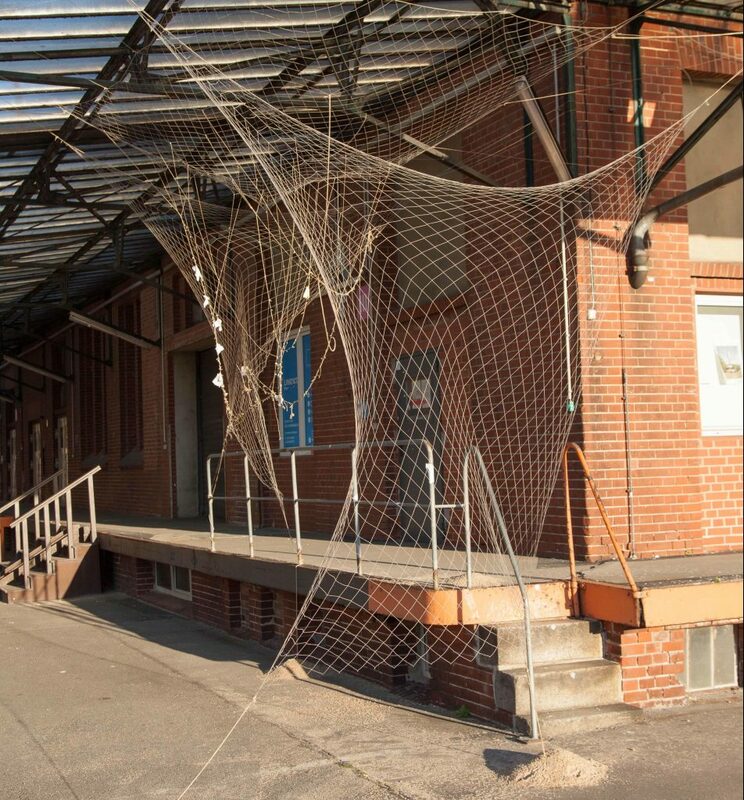 Zerbrechlich is installed in a 100 sqm hall of the former can factory, awakening the space after many dormant years.